vitamini handmade: Love in the trees. 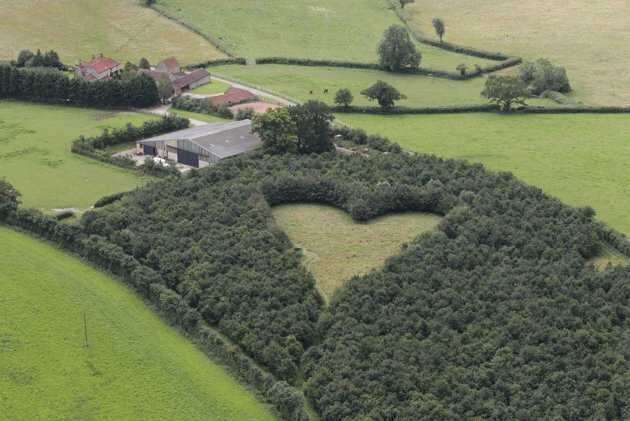 I spotted this article on Yahoo today about a farmer in South Gloucestershire, England who planted thousands of oak trees in his field (lined with a hedge) creating a striking void in the shape of a heart to honor his late wife. 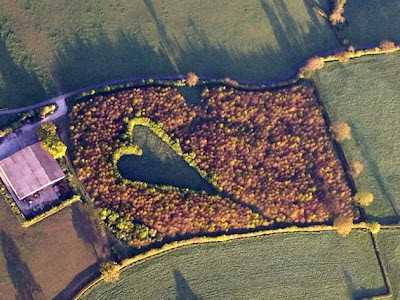 The heart points in the direction of her hometown. What a beautiful tribute. 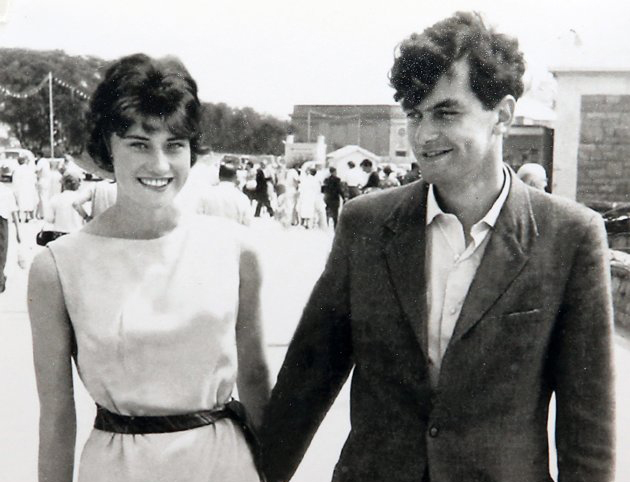 Here is a photo of the couple in the 1960's. Aww. Aww, how dear is that? !